In rare cases they may be signs of sudden cardiac arrest symptoms, but heart palpitations symptoms often have less serious causes. Are heart palpitations serious? For some, they turn out to be harmless and innocent events that require no treatment. But in certain cases, as our author discusses, they should be assessed. When you feel your heart skip a beat or beat faster than normal, the sensations are called palpitations. They may be brief and harmless—the result of a vigorous workout. Or, heart palpitations symptoms could indicate an arrhythmia or another heart problem. An arrhythmia is a condition in which the heart’s electrical system doesn’t work properly, causing the heart to beat in an unhealthy manner. Palpitations are also among several sudden cardiac arrest symptoms, but in the majority of cases, they don’t predict such a serious event. Sudden cardiac arrest occurs when the heart just suddenly stops beating. Unlike a heart attack, which is the result of blockage in the arteries within the heart, sudden cardiac arrest is usually the result of an electrical problem in the heart. Nerve signals that keep the heart pumping stop working, and the result, as you might imagine, can be quite serious. Heart palpitations can come in many forms. They may feel like a fluttering in your chest. Or they may feel like a thudding or pounding sensation. Palpitations also include feelings you’re your heart is racing. And sometimes, you may be aware of your heart skipping a beat, or going out of its usual rhythm occasionally. If you notice any of these feelings, pay close attention to them. When you see a healthcare provider, the more accurately you can describe your heart palpitations symptoms, the better chance your doctor will have of diagnosing the problem. To evaluate the kind of palpitations you’re experiencing and determine what might be causing them, your doctor will listen to your heart. You’ll also probably be given an electrocardiogram (EKG), a harmless test that measures the heart’s electrical activity. If you’re having palpitations during the EKG, the test will reveal the unusual rhythm. If the EKG is normal, you may still have a condition that’s causing heart palpitations. In this case, your doctor may recommend you wear a Holter or event monitor, which measures your heart’s electrical activity for 24 or 48 hours. You’ll also keep a notebook, recording when you feel heart palpitations symptoms such as lightheadedness, chest discomfort, and any other relevant information. If, for example, you experience palpitations after physical activity, you would note that. A stress test is another way to diagnose the cause of heart palpitations symptoms and other problems. During a stress test, you’ll walk on a treadmill or ride a stationary bicycle until your heart displays signs of an irregular rhythm or other types of distress. Not all heart palpitations symptoms are related to heart problems. Having one alcoholic drink too many might give you a racing heart. Simply feeling stressed or anxious can cause palpitations. Intense physical activity can also make it seem as though your heart is beating harder or faster. However, your heart may be beating normally or healthfully during exercise. It’s just that the activity may increase your heart rate to match the body’s demand for oxygenated blood to its muscles. Certain medical conditions may also cause palpitations. These include anemia, thyroid disease, low blood pressure, and low blood sugar. If you have any of these issues and you experience heart palpitations, be sure to tell your doctor. They may indicate a change in your condition. Also, if you get dehydrated, you may also notice a change in your heartbeat. But if your palpitations aren’t caused by mood, exercise, or a health condition unrelated to your heart, you may have a cardiac condition known as an arrhythmia. 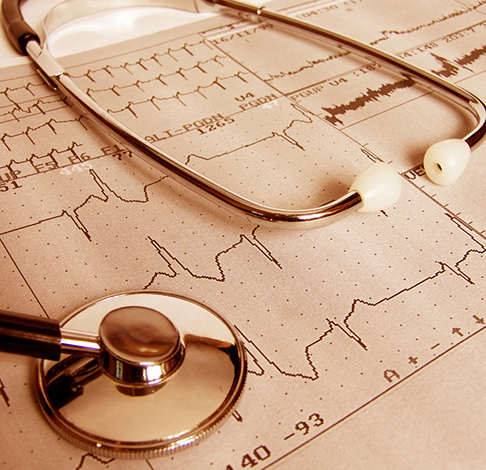 One of the most common arrhythmias is a condition known as atrial fibrillation (Afib). If you have Afib, your heart’s upper chambers (atria) beat out of rhythm with your lower chambers (ventricles). The atria quiver erratically, so circulation throughout the body is compromised. 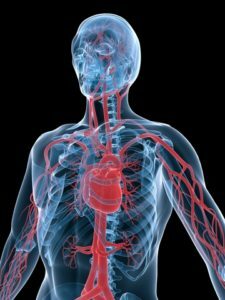 Blood can also pool in the heart, possibly leading to blood clot formation and a higher risk of stroke. Other types of arrhythmias include bradycardia, an abnormally slow heart rate, and tachycardia, an abnormally fast heart rate. There are other kinds of arrhythmias that cause heart palpitations symptoms. If you are diagnosed with any heart rhythm disturbance, you should work with an electrophysiologist, the type of cardiologist who specializes in the heart’s electrical system. For many people, palpitations are harmless and innocent events that require no treatment. Their causes can be easily identified. If the cause is related to thyroid disease, low blood pressure or another non-cardiac reason, effective management of the underlying condition might cause the palpitations to cease. And if you have an arrhythmia, treatment may start with medications. If drugs can’t control all your heart palpitations symptoms and other problems associated with the abnormal heart rhythm, interventions may be necessary. This often means a catheter procedure called an ablation, in which the tiny portion of heart tissue presumed to be the cause of the electrical disturbance is destroyed. If you have had a heart attack or any type of heart disease, you’re at a higher risk for an arrhythmia. A preexisting heart condition also raises your risk of developing sudden cardiac arrest symptoms, such as palpitations and a sudden loss of pulse and consciousness. However, sudden cardiac arrest is unusual. If you have a type of arrhythmia known as ventricular fibrillation, in which the ventricles beat abnormally, your risk of sudden cardiac arrest is somewhat elevated. Heart palpitations aren’t a condition by themselves. They are symptoms of a condition that ranges from harmless and momentary to serious—and one you may have to deal with for life. But the only way you’ll know for sure is to share your heart palpitations symptoms with your doctor and start working together to find the cause. Q: I had ablation for atrial fibrillation, and it seemed to work. But after a few months, I noticed palpitations starting up again. Does that mean the procedure didn’t work, or is this a new problem? Is it safe to have ablation again? A: Radiofrequency ablation is a useful tool for the management of individuals with symptomatic atrial fibrillation and as an alternative to antiarrhythmic medications. The usual technique eliminates conduction from the pulmonary veins to the left atrium, since many of these episodes are triggered by electrical activity in this region. Although ablation success rates for atrial fibrillation are not as high as with some other supraventricular tachycardias, results continue to improve with better techniques and experience. A single procedure can eliminate paroxysmal or intermittent atrial fibrillation 70 to 80 percent of the time. But repeat procedures for recurrences are necessary in as many as 25 to 30 percent of individuals, with subsequent long-term success rates approaching 85 to 90 percent. However, initial success rates may be as low as 50 percent in individuals with chronic atrial fibrillation or with underlying significant structural heart disease. Even in these cases, success with repeat ablations may approach 85 percent. If the atrial fibrillation has been constant for more than one to two years, a majority of patients require an additional procedure to restore a normal rhythm. It is not uncommon for atrial fibrillation to recur during the first three months following ablation, while the heart heals from the procedure. Sometimes just waiting it out is enough. If symptoms continue, it’s important to evaluate the recurrent palpitations. Other arrhythmias, such as frequent premature beats or a different arrhythmia arriving from an alternate region of the heart, could be causing your symptoms. Clarifying what exactly is causing your palpitations will help to decide whether to just observe, consider addition of medications, or proceed with a repeat ablation procedure. a heart attack, ablation, afib, anemia, antiarrhythmic, atrial fibrillation, blood clot, blood pressure, blood sugar, bradycardia, cardiac arrest symptoms, chest discomfort, exercise, health, heart attack, heart condition, heart disease, heart palpitations symptoms, heart problem, heart problems, low blood pressure, low blood sugar, medical conditions, mood, physical activity, radiofrequency ablation, stress, stress test, stroke, sugar, thyroid, ventricular fibrillation. I thought you might be interested in this article on https://universityhealthnews.com: Heart Palpitations Symptoms—Fluttering, Pounding, Skipping a Beat: What Does It All Mean?